Rio allows the editor to work with rushes, temps, offline and finals all on the same timeline. As the job comes together, Rio's powerful on-board Paintbox, effects and compositing tools allow finessing and complex changes to be made without going to other systems. Flexible titling and subtitling tools complete the picture. 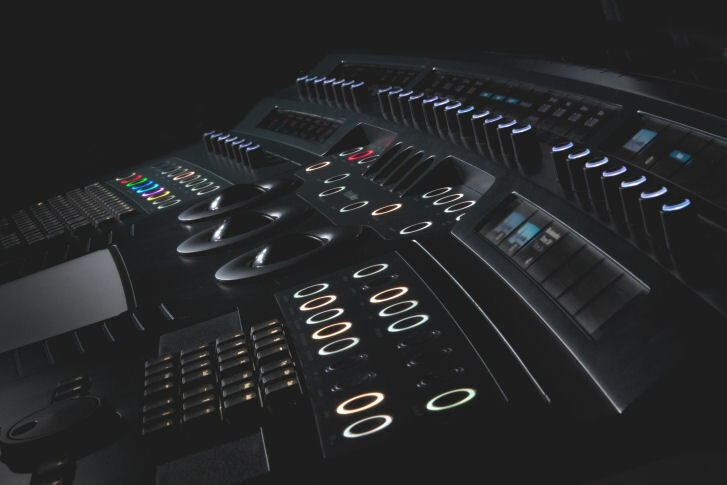 The Rio with Neo color grading console allows total creative freedom with color at every stage of the DI process. With Pablo there’s no waiting or wasted time. Immense power makes color correction a truly interactive process, the director can sit with the colorist and instantly see results of changes on screen at full resolution without proxies or previews. Nothing is committed until output, the whole project remains live throughout the process. The Rio workflow makes it easier to make the movie and all the different versions, both editorial - director's cut, culture-sensitive versions; and format - d-cinema, film, DVD, HD movie channel, SD television deliverables, for both new work and restoration projects. The Rio enables directors and DPs to do more and have more direct control over the realization of their creative vision even as it allows the producer to do more work for less cost in a shorter timescale, and it dramatically reduces the costs of late changes. Putting Rio at the heart of the digital intermediate workflow brings enormous benefits to every stage of the production process.